If you follow me on Instagram, you would know I had posted about a giveaway yesterday. If not then you can follow me on Instagram by searching ‘megha811’ and tap follow. It is super humid weather at my place and I literally hate applying moisturizers over my skin. I have made a skin clearing serum for my oily skin and I love how light it is. Recently I got a gorgeous box from Isa Professional! 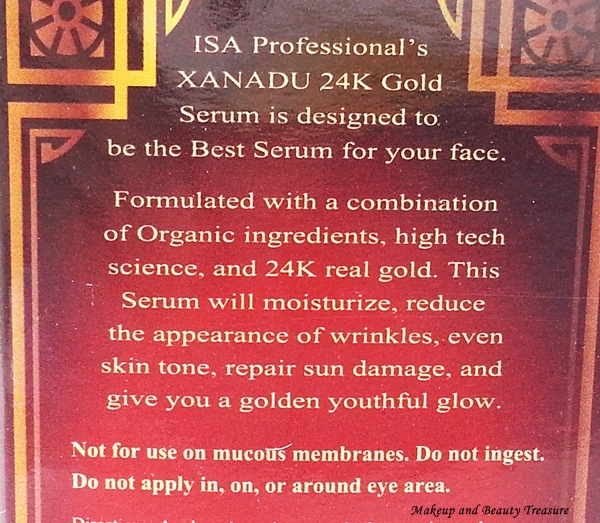 When I opened it, I was thrilled to find two XANADU 24K Gold Face Serum*. One is for me and one for my lovely reader. The serum is priced at $199 but is currently on discount at $59 and you can buy online HERE. You can see the gold flecks infused in the serum! 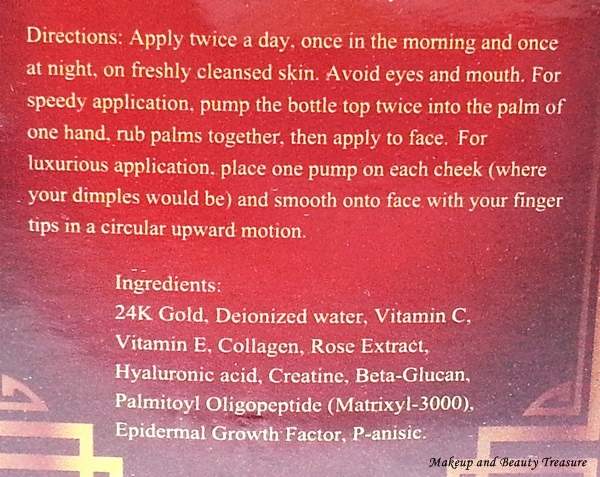 The face serum comes in a maroon cardboard box packaging with all the information printed over it. 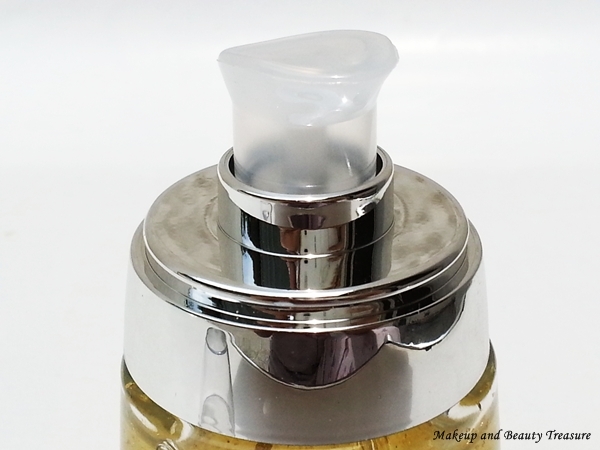 The actual product comes in a clear glass bottle with a pump dispenser. The packaging looks absolutely beautiful and luxurious with gold flecks in it. The pump dispenser dispenses the right amount of serum. As I have oily skin, I use only a pump of serum for both face and neck. If you have dry skin you might need two pumps. The serum has gel like consistency with a mild and pleasant rose scent. I absolutely loved the fragrance of this serum. 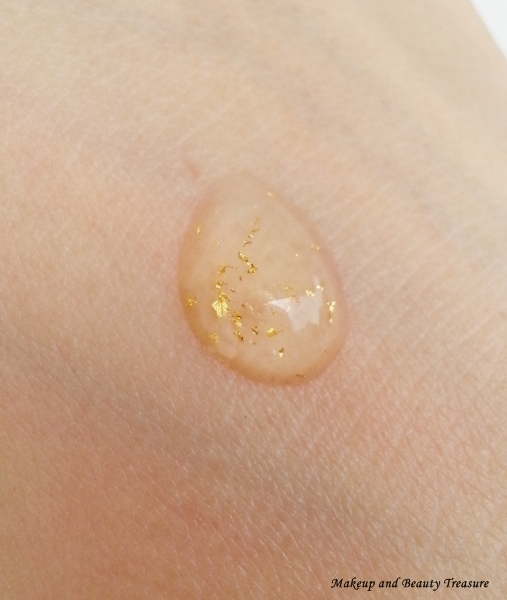 I was skeptical when I saw gold flecks in the serum as I really do not want to look like a disco ball. But as soon as I applied it on my skin it literally gets absorbed into the skin with a lovely glow behind. It feels super light and can be used as makeup primer. I had been using it for more than 2 weeks and I noticed a visible difference on my skin. It looks even, soft, healthy and radiant. As this is a luxurious treatment, I particularly use it as my makeup primer. My makeup tends to stay longer even in this humid weather with this serum. It contains 24K real gold, vitamin C & E. It also contains collagen so it will also help in smoothing out wrinkles and lines! • Works best as makeup primer. • Contains 24K real gold. • Evens out the skin tone. • Makes you feel rich *winks*. Come on not every cream contains real gold! • Lasts long as only a small amount of serum is needed each time. • Travel friendly and elegant packaging! • Isa Professional provides International Shipping! 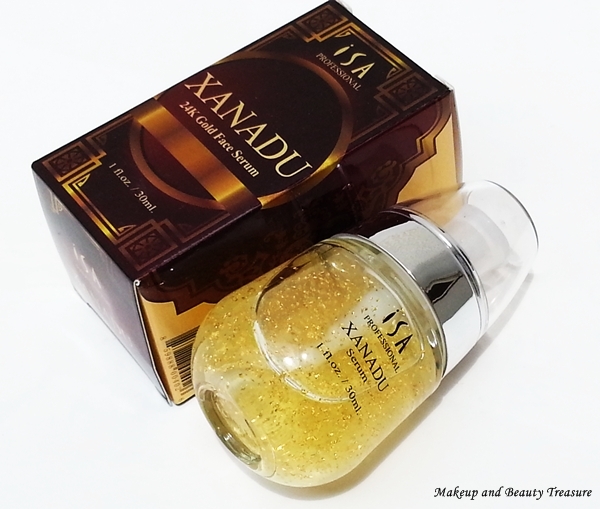 As my wedding is near and I would not go for facials due to my acne prone skin, I would definitely include this awesome XANADU 24K Gold Face Serum in my skincare regimen. It makes my skin soft, smooth, even and radiant. If you want a lovely glow on your skin then I would definitely recommend it to you! 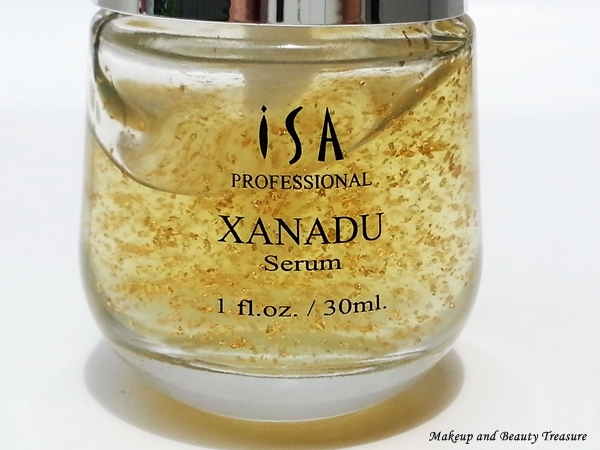 Isa Professional was kind enough to send me one more bottle of serum to give away to one of my lovely readers. Thank you Isa Professional! The rules will be the same as previous giveaways! The giveaway is OPEN INTERNATIONALLY! 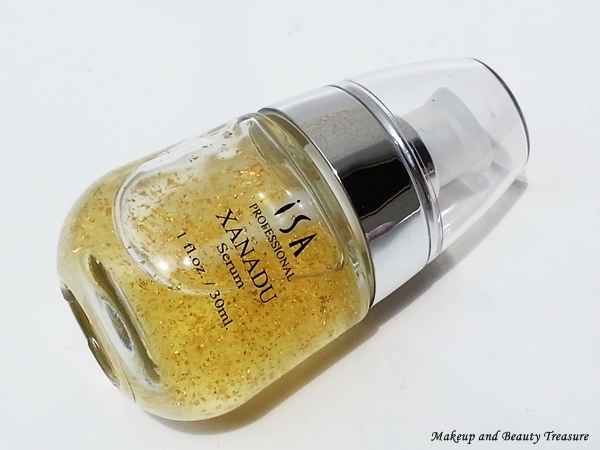 One bottle of Isa Professional XANADU 24K Gold Face Serum! • You MUST follow MBT on Bloglovin and MBT and Isa Professional on Facebook! • All other entries are optional but will help you in gaining more entries! • Open WORLDWIDE! Anyone can enter! • The prize will be sent by me! • I will not be held responsible if the prize is stolen or broken in the mail! I will make sure to mail it securely. • The winner must reply to my email within 48 hours else I will be forced to choose a new winner! • No cheating please! Enter through Giveaway Tools only!